If you have planned a holiday or a week-end in Cortona and you don’t know what to do or you don’t want to miss any sights of the town, don’t worry! 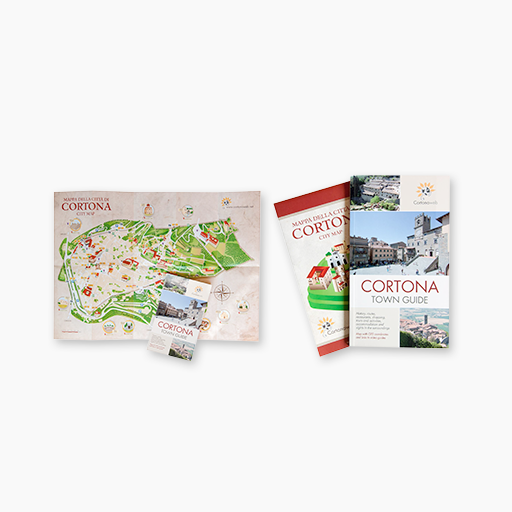 Thanks to the town map and travel guidebook of Cortona by Tiphys, the town and its surroundings won’t be a secret anymore. These guidebooks are already a must for Italian and foreign tourists visiting Cortona. 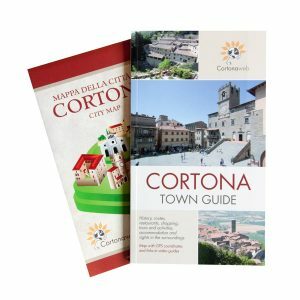 We have written this handy town guidebook including monuments, facilities, itineraries and tips to give you the opportunity to visit and know the town of Cortona in its entirety. You will find many ideas to discover the town in a different and authentic way by strolling around the narrow streets. There’s something for everyone and for every need! The places not to be missed, an excellent selection of restaurants, shops, tourist activities and hotels with all the addresses and practical tips, good ideas and recommendations to live the town as better as you can. 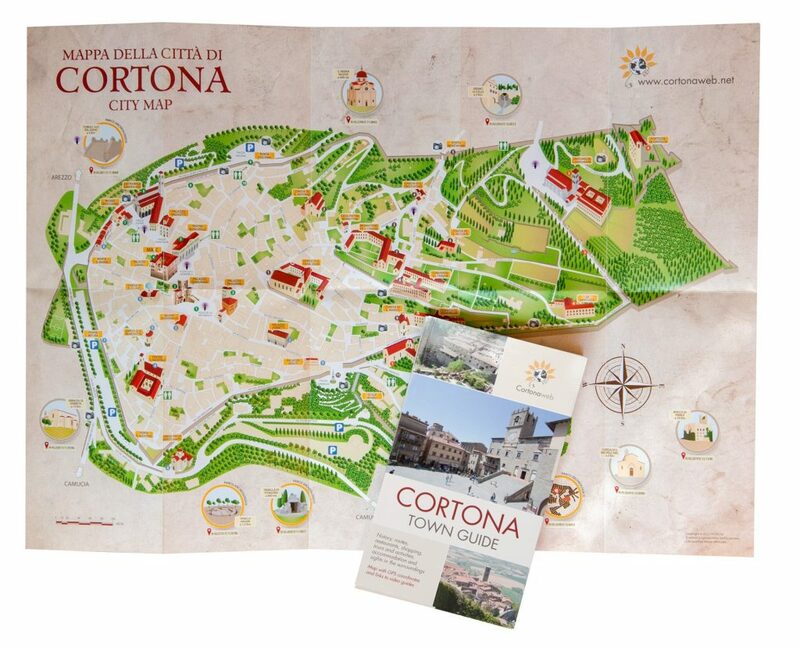 The new town map of Cortona that is attached to the guidebook, made with the sponsorship of the Cortona Town Council, has an original layout and design of the town and includes GPS coordinates to easily reach the points of interest in the surroundings and QR Codes to access video guides from your smart phone or tablet (also available on the Cortonaweb i-Tunes channel).